Popping Candy - buy online! Popping Sugar (80gm canister) Everyone is familiar with popping candy from their youth (pop rocks, space dust etc) but now we are all a bit more grown we might want to use it in slightly larger quantities, and without the artificial colours and flavours that are found in the confectionary packets. These cans of popping candy contain 80gm of Carbon Dioxide infused sugar crystals. To use them you can simply scatter over ice cream, cakes, desserts before serving or incorporate them as an ingredient within the dish. It is easy enough to be experimental with this product, but one thing to remember is that exposure to moisture will result in the candy popping too early. To avoid this then it needs to be sprinkled on immediately before serving, or if using as an ingredient then makes sure that whatever you mix it with has low moisture content, eg chocolate or fat. A good example is icing, it’ll be fine with butter icing because of the high fat content but wouldn’t work with a simple icing sugar/water glaze. Everyone is familiar with popping candy from their youth (pop rocks, space dust etc) but now we are all a bit more grown we might want to use it in slightly larger quantities, and without the artificial colours and flavours that are found in the confectionary packets. These cans of popping candy contain 80gm of Carbon Dioxide infused sugar crystals. To use them you can simply scatter over ice cream, cakes, desserts before serving or incorporate them as an ingredient within the dish. It is easy enough to be experimental with this product, but one thing to remember is that exposure to moisture will result in the candy popping too early. To avoid this then it needs to be sprinkled on immediately before serving, or if using as an ingredient then makes sure that whatever you mix it with has low moisture content, eg chocolate or fat. A good example is icing, it’ll be fine with butter icing because of the high fat content but wouldn’t work with a simple icing sugar/water glaze. It works better if the popping candy has something to stick too, so a bit of sauce spread on first will allow you to pile on more of the good stuff. Of course, you might want to try and make you own popping candy... well, there certainly are plenty of recipes out there that tell you how to make it here, here and here for example... but none of them are making popping candy, they are making a sort of sherbet fizz. If you want to see how to make pop rocks then you'll find it really is a bit of a heavy engineering project! Watch the video here to see. 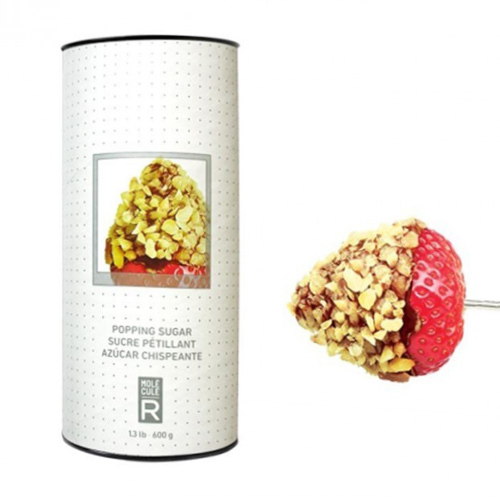 This popping candy is different to the stuff you get from sweet shops because it has coating to stop it immediately popping when it gets wet - this allows it to be used as a recipe in things such as popping candy cupcakes and exploding chocolate gateau ! Or simply scatter on cupcake icing as a popping garnish. 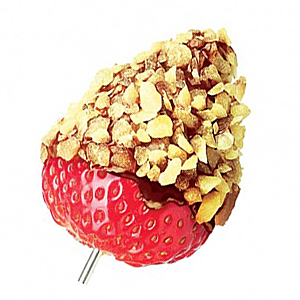 Or even make you own popping candy chocolate spread. How about a popping candy cocktail? Just remember it works best if whatever you add it too has a low water content, to prevent any premature pops.